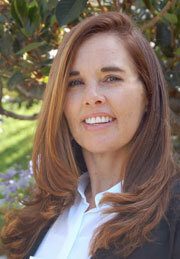 Originally from the Midwest, Tammy Garcia first moved to San Diego when her husband was stationed at Camp Pendleton in the mid 90’s. Other career opportunities took them away from the area, but Tammy is excited to be back in San Diego, where we have 266 days of sunshine a year! She is positive, a real go-getter, who helps her clients achieve their real estate goals, whether that’s a luxury estate, an investment property, or a first-time home buyer looking for a place to raise their family. Tammy’s positive energy and attitude is very reassuring to her clients and helps them stay clam throughout the transaction, as she expertly and skillfully negotiates every step. When she’s not working hard for her clients, Tammy loves to take advantage of our beautiful surroundings, running on the beach (Torrey Pines is her favorite! ), stand-up paddle boarding, and hiking as often as she can.